Manage mounting business objectives, maximize technology investments, and effectively position your IT org for the future. Big changes are happening in the IT market and IT organizations across the board are tasked with moving faster. Gartner, Inc. states that by 2020, 50% of enterprises will entirely replace the tools they use to support core IT operations management functions with those originally used by DevOps teams. But if organizations don’t fully understand how to execute on continuous delivery and DevOps, how can IT be expected to support it? Optimizing your IT Operations processes is the key. 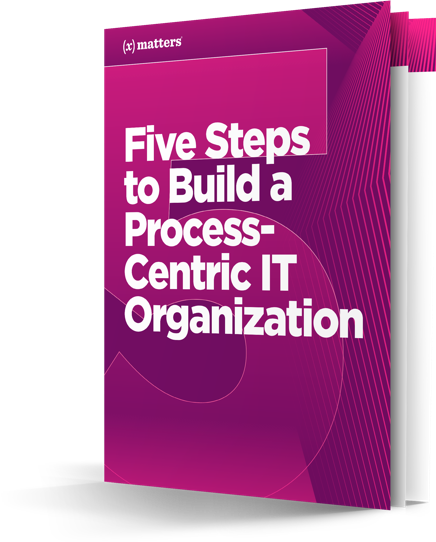 Read this whitepaper to learn 5 steps to building a process-centric IT organization and effectively position your team for the future.